Data Science Portugal is a community of data science enthusiasts with the purpose of allowing our members to share their knowledge and experience in this field, in a informal environment. 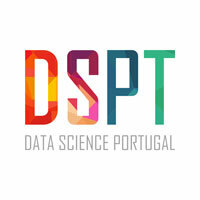 We came up with the idea to create the Data Science Portugal (DSTP) community to build synergies among everyone that is passionate about data. Initially, we will be promoting a series of meetups that will be based in Aveiro and in Porto where the focus will pass by the divulgation of major technologies, allow for networking among the community members, make possible for the presentation of different success stories and to allow for the discussion of major issues related to this field. We will also encourage the members to share specific business problems so that the public can give ideas on how to build a solution.